Earlier this month, the Detroit Institute of Arts was "saved" by a voter-approved property tax (called a "millage") in its three surrounding counties. The millage will provide about $23M per year for ten years to support operations, during which time the DIA hopes to raise $400M to enhance its endowment and replace the operating income from the millage. Residents in the three counties that pay the millage will receive special benefits: free admission to the museum and expanded educational programming. I'm not going to comment on the reasons for the millage or its merits from an arts management perspective--please check out Diane Ragsdale's excellent post for a round-up of commentary and some hard-hitting opinions about the big picture. I'm focusing on the community response to the prospect of the millage and the way the public debate reflects broader conversations about the public value of the arts. The pre-vote public commentary in the Detroit Free Press about the millage is like any online newspaper commentary: polarizing, extreme, and highly varied in tone and reasonableness. But the arguments trotted out represent how far we have to go in articulating the public value of arts institutions (and helping our supporters speak the same language). It's like a giant, free, no-holds-barred focus group that represents a true range of arts users and non-users. The arts are a private matter: Arts are about individual tastes, experiences and enrichment, and individual expression by artists. This perspective was rampant in Michigan. As one Detroit Free Press commenter wrote: "You are not getting it. Your cultural outlet is art galleries and symphonies. Mine is tractor pulls, MMA and the occasional anvil shoot. But why is yours more deserving of my tax dollars?" Several Detroit comments were in this vein. Commenters asked reasonable questions about why the museum couldn't balance the books, but more importantly, they kept coming back to the argument that if the museum was successful, it would be financially viable. One commenter told a DIA supporter: "[if you support them] just send the DIA a $20 check. Why force everyone else to do it? If all the people that plan to vote yes just bought a membership to the DIA, there would be no need for the property tax. Vote with your money instead." Detroit, like a lot of cities, is struggling financially on many levels. Many comments on the DIA fell in this category, e.g. "I would rather my $20 goes to my local schools, police, or fire if they are going to raise my tax." Many of the comments also suggested that it was unfair for people throughout the counties to support an institution in the middle of the city. Unsuccessful argument: Great cities should have great arts institutions. As one commenter said: "it's so embarrassing to come back home and find that people in this area don't care for the gems we still have, just no sense of pride here." Rebuttal: That's elitist. Lots of negative and ambivalent reaction to this case statement. This kind of comment was common: "Your elitist tone is what turns people off from wanting to pay higher taxes. The whole 'we know how to spend your money better than you' attitude is condescending and false." Successful argument: Great museums improve quality of life and the value of the region. "it’s just not about a museum, it’s a local AND regional “quality of life” issue. Whether it’s visitors from the suburbs or from out of town, or possible families contemplating relocation, or the city residents themselves…people look at the Entire Big Picture….Education, Culture (Symphony, Opera, Museum), Sporting venues, Shopping, Crime & Safety, etc." Rebuttal: none. Interestingly, these kinds of comments on the website did not spawn heavy critique or vitriol. This was also the argument put forth in news articles by politicians--that cultural amenities, schools, and neighborhoods are all important when courting businesses or prospective homeowners. A thriving arts sector creates “ripple effects” of beneﬁts throughout our community. A vibrant, thriving economy: Neighborhoods are more lively, communities are revitalized, tourists and residents are attracted to the area, etc. Note that this goes well beyond the usual dollars-and-cents argument. Looking at news articles and public discussion, it seems that the DIA's supporters won the day with the first of these arguments. I hunted through the Detroit Free Press discussion with the second ripple effect in mind, but I couldn't find evidence of it in the comments. I found some comments about the fact that the DIA provides programs for schoolchildren and poor families, but that falls into the "services" case statement that often yields unfavorable comparison to "core" civic services (schools, police, social services). I found only one comment about the diversity of visitors to the DIA, but that was presented in rebuttal to someone saying it is an elitist organization. There were no case statements for the DIA that emphasized how the museum brings us all together, connects counties, or creates bridges. This issue and the discussion surrounding it highlighted to me the value of the ArtsWave report as a proactive tool for advocacy. No one wants to wait for a life-or-death situation to start testing out case statements. If I were running the DIA, I would have used the ArtsWave report to map out talking points during the millage debate. And as the director of an organization rebounding from financial crisis, I'm thinking a lot about what messages support our future and how to encourage not just staff but our members and friends to think about the museums in those terms. 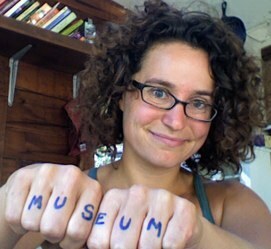 Every time a visitor talks about enjoying the museum, I smile. But when they use phrases like "making the community a better place" or "part of something bigger," I'm thrilled. And what to do when the advocacy is successful, as in the case of Detroit? I'm surprised by the little the DIA has said publicly about the millage effort and its outcome. I understand that the museum was restricted in public statements during the campaign, but afterwards, I expected a much more aggressive reframing. In thanking people for supporting the millage, the DIA focuses on granting benefits (primarily free admission) and makes almost no commentary about what these taxpayers have done and are doing for the future of the DIA and the vitality of the Detroit metro area. I can understand why regular citizens (or irregular, depending on what you think of people who comment on newspaper sites) might not focus on social case statements for the DIA. But the institution should jump on that. There's a missed opportunity to reframe what the millage means and the role of community support in museum funding when saying thank you. It's probably a useful exercise for any institution to ask: what are the messages about our value that resonate most--not just with our own supporters, but with the people in our community who don't know anything about us? If people were debating the future of our institution in the paper, what would they say? How can we equip our supporters with the strongest case statements so they can be champions and not pariahs? And how do we engrain those arguments into our operations so they are self-evident?